The weather is warming up here, which means it is frozen treat season. 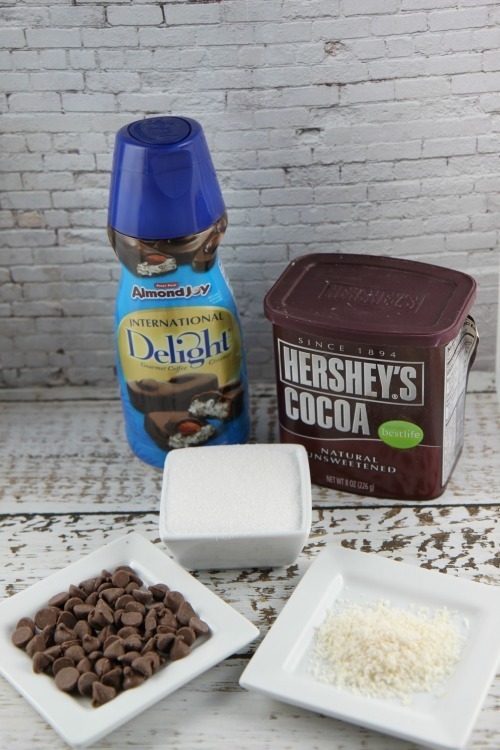 While, I love my International Delight Coffee Creamer in my hot coffee in the mornings, I love to think of new ways to incorporate these delicious flavors into other recipes. What better way than to incorporate the International Delight Almond Joy flavor in a delicious homemade fudgesicle treat. As a child I remember my grandparents always have fudgesicles in their freezer during the summer. Us grandchildren would finish those off pretty quickly in the summer. Those were the good ole days. Swimming all day long, eating as much junk food as possible, and drinking as much ‘dew as we could find. 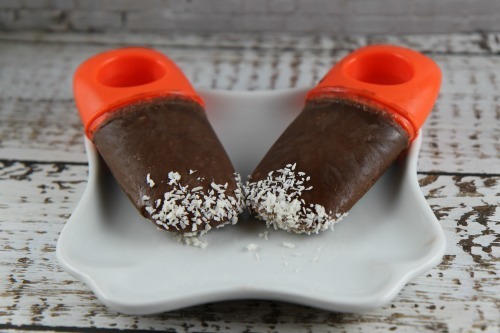 This Almond Joy Fudgesicle recipe brings back those wonderful memories and adds an adult spin to this recipe with the creaminess from the International Delight coffee creamer and the splash of coconut flakes. Combine water, creamer, sugar, cocoa powder, and pinch of salt in a small sauce pan. Bring to a boil. Remove from heat and stir in the chocolate pieces until they melt. Allow mixture to reach room temperature. I sprinkled a little bit of the sweetened coconut flakes into the bottom of the mold before filling. Then pour the mixture into your popsicle molds. I used a small measure cup that had a spout to make it easy to pour into the molds. Well, let’s say that is what I did originally and not the mess I made from trying to pour the chocolate mixture into the molds straight from the saucepan. Nope, there was not a huge pile of mixture on the counter that I wanted to lick up. I did not lick it up. I really didn’t. Even though it was very tempting. Put in freezer until set. Remove from molds. 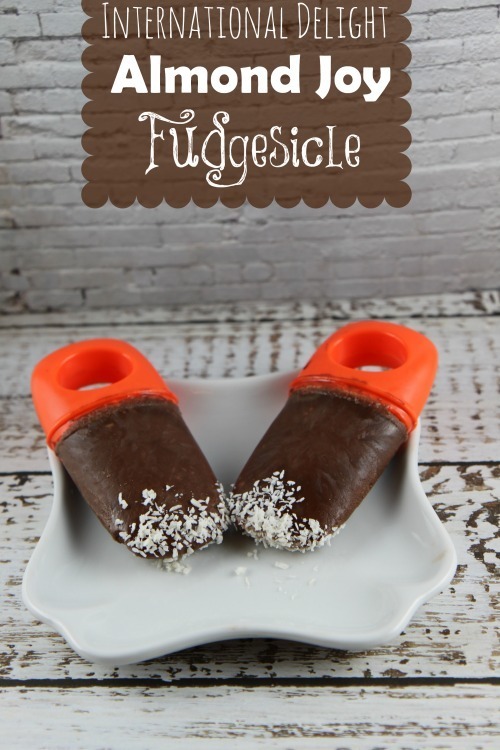 Store unmolded fudgesicle in individual freezer bags or wrapped individually in plastic wrap. Sign up for Member Delights and have access to coupons, giveaways, new recipes, and more each month. Stay up to date on the latest International Delight news on Facebook, Twitter, Instagram, or Pinterest.